Invader Security engineers are familiar and experienced with a variety of different security and alarm systems and we are therefore happy to take on the expansion or maintenance of existing systems. We can offer annual maintenance contracts and have a fully supported 365 day 24 hour call-out service with or without monitoring. Intruder Alarms, Burglar Alarms, CCTV Cameras, IP Cameras, Network Cameras, Door Entry and Access Control Systems. 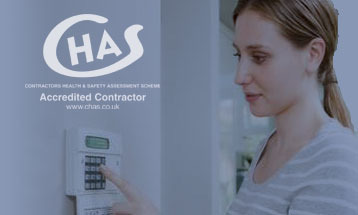 Installation, Maintenance and Support, Annual Check-ups, New and Existing Security Systems Maintained and Supported, Alarm System Expansion, Alarm Call-Out, Security Monitoring Services.